When it comes to games, you can pretty much call the ‘80s the Nintendo decade. Yeah, Atari might’ve ruled the home market for those first couple of years, and arcades thrived throughout, but Nintendo basically saved the entire industry in America when it launched the Nintendo Entertainment System over here in 1985. Atari’s spectacular flame-out scared retailers away from videogame consoles, with a deluge of terrible, unsold 2600 games junking up cut-out bins (and literally getting buried and paved over) around America. It took a combination of the NES’s superior performance, Nintendo’s superlative game line-up, and a canny marketing plan that convinced console-weary retailers that the NES was more of a toy than a piece of technology to resuscitate the market for home videogames in America. That’s why, to people who were around at the time, Nintendo is still synonymous with videogames. Nintendo was more than just the NES, though. The company established itself as a videogame powerhouse with the 1981 arcade smash Donkey Kong, which also introduced the company’s mascot, Mario. A run of quality arcade games followed, and although they weren’t all successful, they were almost all interesting and worthy of remembering today. Nintendo still pays tribute to most of these games in the Smash Bros. series, which is almost like an official company history in the form of a fighting game; beyond the obvious references in the game’s character line-up and stages, Nintendo games both iconic and obscure are commemorated in Smash’s trophies and in-game stickers. Nintendo goes out of its way to pay respect to its history, which compels the players to respect it in turn. To that end, we’ve decided to look at the very best games developed by Nintendo during the decade where they most clearly dominated the videogame industry. We’re not considering just games that were released on the NES, or even games that Nintendo itself published but were created by other designers (hence the lack of R.C. Pro Am and Final Fantasy, which were both published by Nintendo in America). We’re exclusively talking about games developed by one of Nintendo’s in-house teams and released during the 1980s. And yeah, we’re looking at the original release dates, which were almost always in Japan, and well before the games ever hit the States. That might sound unimportant, but it’s how a game like Super Mario Bros. 3, which defined the year 1990 for me more than any other piece of pop culture, can make this list—it was released in Japan a full 16 months before it came to America, all the way back in 1988. So here we go: the 25 best games that Nintendo made in the 1980s, starting with a weird sequel that was probably better than it had any right being. Three unusual facts about the first three Donkey Kong games: the playable character in each game is different; none of them are Donkey Kong; and the way you play each game is noticeably distinct. In the third one you play as Stanley the Bugman, who’s trying to protect his flowers from a constant onslaught of bugs sent down from above by the great ape himself. 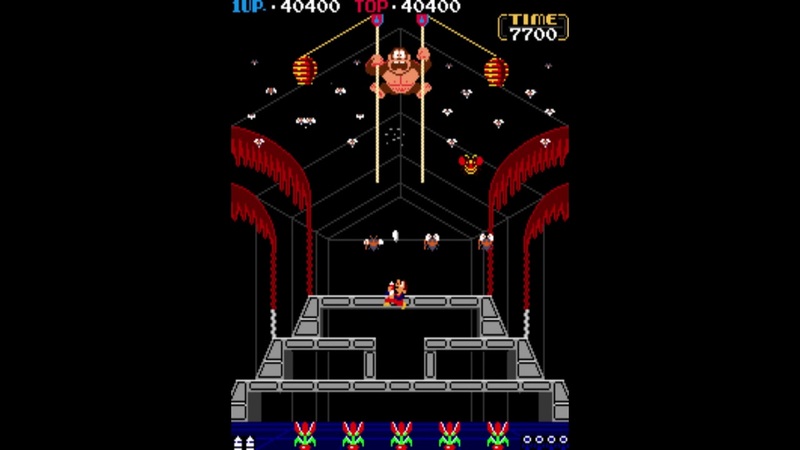 It’s essentially a shooter, with Stanley running back and forth and taking out bugs with his spray, while also trying to drive Kong up to the top of the screen. It’s an interesting take on the early single-screen shooter, and a weird detour for a series that introduced Mario and is considered the first true example of a platformer. This might be the weirdest—and hardest—game Nintendo made in the ‘80s. Your trenchcoated private eye character, Mr. Stevenson, looks like the star of a classic NES platformer, and that’s not entirely off-base—he does walk to the right and jump from platform to platform. You’re not controlling him with a D-pad and buttons, though. You’re constantly shooting him with the Light Zapper. Stevenson jumps with every shot, and your job is to keep him from plummeting to his doom or getting hit by any of the many obstacles flying around every stage. It gets incredibly hectic as it goes, with you having to shoot out everything in Stevenson’s way without running out of ammo, while still remembering to shoot him to make him jump when needed. It may not be fun, in the classic sense of the word, but it’s a true sense of accomplishment just making it through the first level. It’s a must-play just because of how odd it is. The so-called “lost” Nintendo arcade game never came to the US because it basically bombed in Japan. Its arcade machines were converted to run Popeye, and other than a cabinet kept in storage in Japan, no Sky Skipper arcade machines survived into the ‘00s. Collectors recovered a handful of printed circuit boards, though, and an official attempt to rescue Sky Skipper from obscurity and recreate the arcade cabinet was born. The reborn Sky Skipper cabinet had its American debut at the Southern Fried Gaming Expo in Atlanta in 2017, where I got to spend a good amount of time with it, and the game itself will make its Nintendo console debut on the Switch this month. The good news is that it’s not just a curious footnote—it’s worth playing, and enjoying, on its own terms. The goal is to fly around and save animals that have been imprisoned by surly gorillas, and that’s complicated by your constantly depleting fuel supply, treacherous terrain that’s always a risk to be flown into, and the indestructibility of those apes. You have to temporarily disable them with your bombs and then zoom over the animals to rescue them. It’s hard, but it’ll grab hold of your synapses and keep your hands glued to the joystick and buttons. I haven’t played the Switch port yet, but I’m sure it’ll be a must-play for any fan of Nintendo history. This hard-charging motorcycle combat game took its name from a 1972 plastic car toy made by Nintendo, and can be seen as a major influence on the later F-Zero series. It’s unusual that it’s never gotten a sequel, considering how much Nintendo loves to revisit and reiterate its ideas—perhaps the violence, which I hesitate to call “realistic” but is at least more militaristic than Nintendo usually got at the time, with your bike-mounted gun causing countless cars to blow up on the highway, shortened this property’s life span. Either way, it’s a rarity in Nintendo’s ‘80s catalogue. 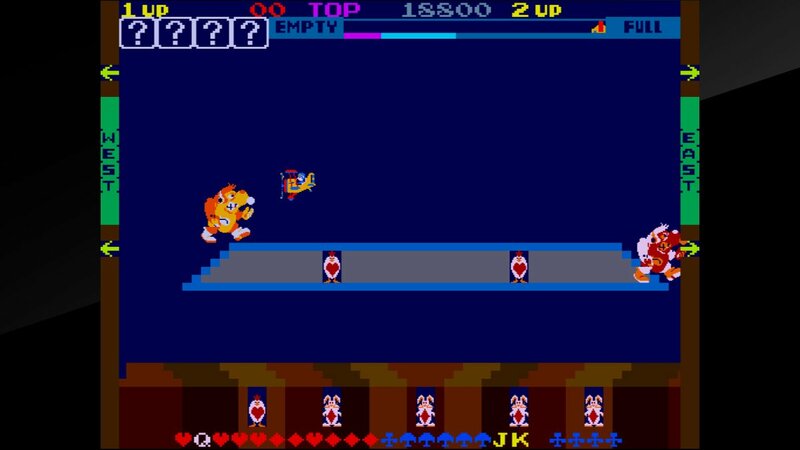 Yoshio Sakamoto’s take on Joust might be better known today than that arcade classic simply through its regular reissues on Nintendo hardware and references in other games. Although it’s cuter than Williams’s hit, it might actually be harder. The physics feel even more fluttery and unpredictable than Joust, and dangers like lightning bolts quickly complicate everything. It’s a serious challenge, even if you’re doing two-player. The real gem here might be Balloon Trip, though; the single-player mode challenges you to float through an increasingly difficult obstacle course, avoiding lightning, hungry fish, and other perils in hopes of reaching the end of the trip and the top of the scoreboard. It’s a perfect class study in preserving that “just one more play” pull despite repeatedly brutalizing the player. This classic Light Zapper game is a lean, focused, fat-free summation of what might be the most obvious use for the Light Zapper: a target shooting range like the ones seen in any movie about FBI training schools or police academies. (If you didn’t realize, movies about police academies were especially huge in the ‘80s.) Born in the arcades and an early killer app for the NES, Hogan’s Alley is just a notch or two below the more fondly remembered Duck Hunt. If you still have a CRT display in your house and a working Light Zapper, this is almost definitely one of the two or three Light Zapper games you’ll spend the most time with today. You might expect this puzzle game to have a Pac-Man thing going for it—its maze bears some superficial resemblance to Pac-Man’s, and even though it came out a few years after Namco’s original smash Pac-Man’s influence still loomed large over game design. And, okay, it is pretty similar to Pac-Man: you have to successfully navigate a maze full of collectibles while avoiding the enemies that are desperate to stop you. Clu Clu Land’s focus on sudden 180 degree turns and other quick changes in motion makes it feel a little bit faster than Pac-Man, and the loop of quick turns to gather up rupee-looking ingots and avoid enemies has a different hook than Pac-Man. Instead of looking for elegant lines to gracefully weave through while avoiding ghosts, you’re charting a more jagged and abrupt course, albeit one that’s still graceful in its own unique way. I wasn’t a big fan of this one in the ‘80s, but I spent a solid week in the GameCube Animal Crossing playing the emulated NES version of Clu Clu Land buried within, and I’ll never forget those halcyon days in the late summer of 2003. Even for a game made in 1985, Ice Climber is hard. You have to jump vertically through 32 levels, avoiding enemies and obstacles and all manner of videogame-y bric-a-brac, just so you can square off in a final boss battle against the condor that stole all your food. There’s only one way to get a single extra life throughout the entire game. It’s hard. That difficulty is the hook, though—the reason to keep punishing yourself through its loops is simply to get better at it and hopefully keep getting higher up the mountain and higher up the scoreboard. That is what videogames were largely like in the early to mid ‘80s: your rewards were points and the satisfaction of beating (or even just surviving) this insidious machine. Ice Climber is Nintendo hard but also Nintendo cute, and one of the more worthwhile footnotes from the company’s early NES lineup. If you’re wondering how the little guy jumping all over construction sites in Donkey Kong wound up in a massive mushroom-fueled dreamworld just a few years later, well, at least part of that story is filled in by the original Mario Bros. This was the first game where Mario actually got to act like a plumber, although in a really surreal way, as he was trying to fix pipes that were being overtaken by crabs, turtles and fireballs. At least he had backup in the form of Luigi, who was created specifically so this game could let two people play at once. The turtles informed Mario’s next adventure, when he wound up stomping several dozen of them in a candy-colored parallel dimension. For Mario Mario Bros. and its single-screen platforming is a send-off to the early arcade days, and the missing link between his Donkey Kong origins and his career-redefining first trip to the Mushroom Kingdom. This smash hit is largely forgotten today due to the intricacies of copyright law. Designed by Miyamoto and Punch-Out!! creator Genyo Takeda, Popeye saw E.C. Segar’s punch drunk sailor clambering across various platforms while trying to catch Olive Oyl’s kisses and avoid attacks from Brutus and the Sea Hag. It’s a surprisingly hard variation on the early single-screen platformer skinned to a classic license, with perhaps the most vibrant and beautiful sprites of any early Nintendo game. Licensed games were already common by 1983, but none of them looked as much like the thing it was based on as Popeye. In the west we know this series under the name Advance Wars, as the first one to make it Stateside was the 2001 Game Boy Advance installment. Yes, Nintendo just names this series of military strategy games after whatever hardware it’s made for. 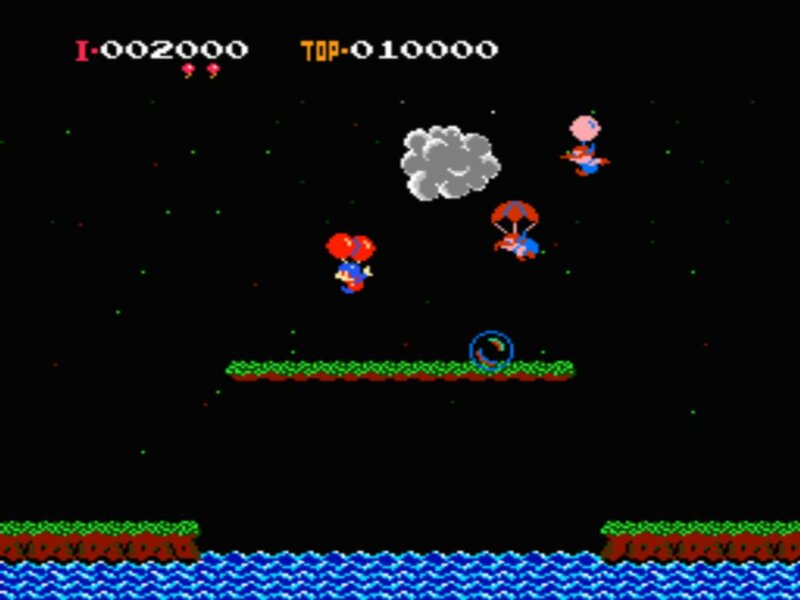 The original, 1988’s Famicom Wars, introduced Nintendo’s colorful take on turn-based combat. It’s not as good as the later handheld sequels, and it can’t quite compare to the fantastic Military Madness / Nectaris, which set an early high water mark for this type of game on consoles like the TurboGrafx-16 and PC Engine a year later, but there’s enough of that classic wartime give-and-take in Famicom Wars to hook any fan of turn-based strategy games. It’s been decades but it’s still a shame it took so long for Nintendo to let Americans get a taste of these games. The first truly great wrestling game remains a personal favorite. Nintendo captured almost everything wrestling fans look for in their first (and so far only) stab at the genre: larger than life characters that punish each other in increasingly brutal ways while telling a story in the ring. The six wrestler roster might seem slight by today’s standards, but it still hits almost every major wrestling archetype, with enough detail in both their designs and their biographical info to let fans extrapolate a full personality for each one. The combat system, where you wear your opponents down with punches and kicks, then approach them to grapple for light moves and holds, before eventually moving up to the heavy hitters like piledrivers, brainbusters, and finishers, is still the same basic template followed by wrestling games to this day. Again, this is the first genuinely significant wrestling videogame to hit the States, and it already has out-of-the-ring action, an in-ring referee, and personalized finishers for each character. It’s a true classic, and one of the few games I have never gotten sick of, even after over 30 years. Kid Icarus is a good game that could’ve been truly great if a handful of issues were smoothed out. Despite sloppy controls, weird collision detection, and how clumsily its scrolling and dungeon sections are welded together, Kid Icarus is a game that will easily capture your imagination with its surreal character designs and extreme challenge. It’s nowhere near the upper echelon of Nintendo games, then or now, but it’s almost a classic, and more memorable today than many games that were technically better at the time. The first Zelda sequel throws away almost everything recognizable from the original, adding more complicated RPG systems like overworld maps, towns, experience points, and leveling up. The overworld has the top-down perspective familiar from the first game, but once you start a fight or enter a town it cuts to a side perspective with a taller, more grown up version of Link. It’s an interesting experiment that makes for a fun action game, but it doesn’t quite feel like any of the Zeldas that have come since, making it the easy black sheep of the family. Definitely check it out if you enjoy Zelda games or RPGs, but prepare yourself for the unexpected. The American sequel to the NES’s first big hit was an awkward reskin of an entirely unrelated Japanese game. It’s a fun (and tough) little platformer, full of idiosyncratic twists and cute details, but like Zelda II it remains a weird anomaly within the series. Although some of the minor villains became enduring series stalwarts, the biggest enemies in Super Mario Bros. 2 are curiously absent from the dozens and dozens of Mario games released since. This is a very good game but it’s not the game we wanted at the time, and that will always diminish it in some ways. Kicking it to the kids was a standard go-to move for quick sequels in the early arcade days. Donkey Kong Jr. hit movie theater lobbies, bowling alley game rooms, and mall arcades in 1982, barely a year after the original. It’s almost as beloved today because it kept the spirit and difficulty of the original while rewriting the basic rules of the game. There’s less of a focus on jumping than on vertical motion, with DK Jr. climbing various vines on most of the game’s four levels. Instead of regurgitating what made the first game so popular, Miyamoto and producer Gunpei Yokoi explored new avenues with the sequel, and wound up with a game that’s pretty much just as good. Like the best Light Zapper games, there’s no fat on Duck Hunt. It’s exactly what it says it is, a shooting range with ducks zipping around the screen in groups of two. With that cartoonish look typical of ‘80s Nintendo, and a cruel dog that mocks your failures, Duck Hunt still fills itself out with a lot of character. The ducks might be more popular, but the harder clay pigeon mode is what gave Duck Hunt its extreme replayability back in the day—it was just about the only launch title I regularly returned to throughout all the years I owned an NES. It’s true that this is basically a first pass for Earthbound, and not as successful as that SNES follow-up on almost any level. Let’s not undercut what Mother accomplished, though, or how out-of-step it was with the game world of the late ‘80s. Before Japanese RPGs had even hit the West, Shigesato Itoi and Nintendo were simultaneously breaking and making fun of their conventions, while also presenting an absurd, circus mirror reflection of American culture. It might not be the most fun to play, but conceptually it was operating in rarefied air for its day. The original 1984 arcade version was a coin-eating beast at my local bowling alley, and deserves all the praise it can get for introducing the concept. The NES version is the one I’m talking about today, though, especially the original US release, Mike Tyson’s Punch-Out!! A game that was prohibitively expensive in the arcades became both more accessible and far more elaborate in its home interpretation, with a larger roster of fighters to slug through, and perhaps the most impressive character graphics of any game on the NES. Despite its tough exterior, this game is less about boxing than solving puzzles. You have to patiently watch each fighter’s routine, learn their patterns and tells, and then pick them apart as quickly as you can. It might feel like just rote memorization, but that overlooks the keen eye necessary to pick up on those patterns. In a way this is the platonic ideal of a videogame, directly presenting you with everything you need to know on screen, and challenging you to develop the focus and reflexes needed to make it through. The US version, with a pre-disgrace Mike Tyson, is still the most perfect videogame license of all time, the right combination of a larger-than-life figure with a perfect videogame. Perhaps the most iconic videogame of all time, Super Mario Bros. was also a major reason that the NES was able to bring the American console market back to life. As a young kid burned by the 2600 collapse, my first glimpse of Super Mario Bros. at a Lechmere demo station was a seminal moment—it was obvious from the first few seconds of play that this beautiful work of art had the power to save and revolutionize something I carried about deeply. Miyamoto’s classic remains a perfect videogame, and yes, I realize how that sounds for a game that’s only ranking in at number five. Guess what: in the 1980s Nintendo made maybe a half-dozen videogames that I truly believe are perfect. Super Mario Bros. might be the most important and unforgettable one of them, but it’s also the one I play the least today. 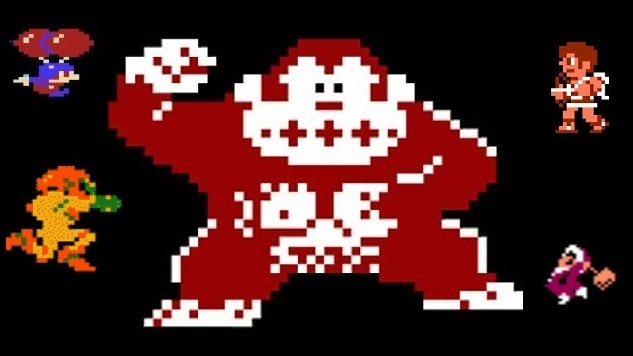 I’m not going to lie: Miyamoto’s Donkey Kong is not one of my personal favorites from the classic arcade era. I can’t deny that it has more than earned its legendary status, though. This is every bit the medium-defining classic that Pac-Man, Space Invaders, Pole Position or Robotron: 2084 are. It maybe didn’t create the idea of jumping from one platform to another in a videogame, but it solidified the look and feel of the platformer, and provided the template that every subsequent platformer looked to, until Miyamoto and NES redefined the genre with Super Mario Bros. It might be too hard for me, too particular in the precision needed in Mario’s jumps and climbing, but it pulls off what it strives for as well as any game possibly could at the time. Nintendo existed long before Donkey Kong, and probably would have existed for long after, but this one game changed the direction of both the company and an entire art form. There is one type of game I could play more than any other, to the point where, if I had to get rid of every other genre of videogame in order to preserve this one, I would probably make that bargain. Metroid basically created it. If you’ve ever written for me here at Paste you probably know my hatred of the term “Metroidvania,” if only because the -vania is thoroughly redundant. Appending that unnecessary suffix doesn’t properly respect the central, indisputable role Metroid had in creating this style of videogame. (Call them ‘troidlikes instead.) Yeah, other games forced you to backtrack before Metroid, but those were generally role-playing games or adventure games that didn’t have the same type of fast-paced, thrill-powered combat that Metroid brought to the fore. Metroid is an unapologetic action game that requires quick reflexes and a sharp eye, but also calls for the kind of patience and problem-solving that had previously been resigned to slower, more deliberate adventure games. And with its claustrophobic atmosphere and legitimately creepy soundtrack, Metroid felt ominous and foreboding in a way that no other game for the NES could match at the time. With its sci-fi seriousness and multitude of secrets, Metroid was a game with great appeal for older players at a time when the entire videogame industry was primarily focusing on younger demographics. Oh, it also introduced a woman hero into games at a time when one was sorely needed. (I mean, they still are, but you know what I mean.) It was a perfectly realized, one-of-a-kind adventure that expanded the audience for Nintendo, created an entire genre that still thrives to this day, and succeeded artistically on every level, which somehow makes it only the third best game Nintendo made in the ‘80s. See what I mean? It takes maybe the most beloved game of all time to beat a Metroid, apparently. Coming out earlier the same year as Metroid, Miyamoto’s epic adventure was an accessible adaptation of role-playing concepts to the console market, and one of the first games to create a massive world with distinct environments that were fully explorable. Designers and critics have talked a lot about immersion over the last decade or two, but in 1986 The Legend of Zelda was immersive in ways no game had been before. Between its sprawling map, the elusive dungeons spread throughout the world, and the copious amount of secrets that had to be solved (with little prompting from the game itself), Zelda was as much an unknowable mystery that had be to be teased out and solved as it was a game to be played. It might seem odd that a game made over 30 years ago, at a time when videogames were considered squarely for children, would require greater intelligence and treat its players with more respect than most high profile games of today, but hey, it’s not like the videogame is the only medium that’s devolved over the last several decades. Ugh, again, it kills me to put this on here. This game is as big a part of 1990 as anything else that happened that year, from “U Can’t Touch This” to the first season of The Simpsons, but it was designed entirely in the 1980s and released in Japan in 1988, so it deserves this slot. It’s also still, here in the middle of 2018, one of the very few games that can stake a legitimate claim to the title of “greatest videogame ever made.” It was as revolutionary in its day as Super Mario Bros. or Donkey Kong were in theirs, blowing up what could be expected from a platformer and proving the genre could include games that were legitimate epic adventures in their own right. So much of what we associate with Mario games was introduced in this one, and despite greatly expanding and adding to the ideas introduced in Super Mario Bros., this game feels just as elegant as that more straight-forward original. Every Mario platformer that’s come since owes a massive debt to Super Mario Bros. 3, and along with Super Mario 64 it’s the most important game in what’s probably the most important series in gaming history. It also has perfect controls, gorgeous art, brilliant level design, and more pure euphoric fun imprinted all the way down to its most elemental level than any other videogame ever made. Yes: Super Mario Bros. 3 is a good one.